When you buy a property there is an expectation, and indeed a requirement from many mortgage lenders, that your property be properly insured. Insurance helps you save money in the event of damage to the structure or possessions, or even to people who are visiting the property. The two broadest categories of home insurance are known as buildings and contents insurance, though more specialised types of insurance including second home and landlord insurance are available as well. Commercial properties also have specific insurance policies for different kinds of coverage. Buildings insurance covers the permanent structures on your property, commonly called the buildings. This means that walls, roofs, floors and windows are covered by buildings insurance, as are the more permanent features of a building such as plumbing and electrical wiring. Fitted kitchens and bathrooms may also be covered as part of buildings insurance. Outdoor structures like garages, garden sheds, greenhouses, fences, gates, patios and driveways may be covered by this type of insurance as well, and the land on which all of these structures are situated should be covered too. Contents insurance covers your possessions, which means that both home owner-occupiers and renters could invest in this type of insurance. Furniture, electronics and personal possessions are the major items covered by contents insurance, though some policies even cover food. Possessions tend to be covered in the event of damage due to various natural disasters (flood, fire, storm, etc.) and theft. Some policies will also cover possessions that you own and use outside of the home, particularly electronics like laptops, cameras and video recording devices. Second home insurance, also known as holiday home insurance, sometimes comes with exclusion periods which means that if you do not inhabit your second home for a period of time (such as 60 or 90 days) the cover may cease. There are policies which offer unoccupied cover, however, and policies which will cover properties abroad. Depending on the specifics of your property you might find you also need coverage for specific features such as a swimming pool or tennis court. Landlord insurance, also known as buy-to-let insurance, takes into account the special needs of landlords who both own a property and let it out. Landlords of unfurnished homes may need less contents cover, but all landlords have certain legalities that may need to be covered including guaranteed rent in case a tenant fails to pay, liability cover in case someone is injured on the property and legal expenses cover in case legal fees are incurred in the course of letting a property. Landlords who let more than one property may even be able to insure all of their rental properties under one landlord insurance policy. There are a variety of other specialised insurance policies which can apply to homes/residential properties as well. Coverage for listing buildings, touring and non-touring caravan coverage, policies for thatched roof cottages, bed and breakfast insurance and empty property insurance may all be available for specific properties. Student possession policies also exist specifically to cover a student's things while he or she lives in a property owned by others. Commercial property insurance covers properties used for commercial rather than residential purposes. These policies may cover buildings and contents, legal, personal possessions/valuables, accidental damage and possibly even lost earnings. Depending on the policy, coverage could insure against natural disasters, burst pipes, theft, loss, malicious damage and/or vandalism as well as explosions. Commercial property insurance often comes with exclusions though, so it is particularly important to know exactly what a policy covers, in what events and to what to degree. Residential and commercial insurance policies are an important part of saving money once you buy a property. 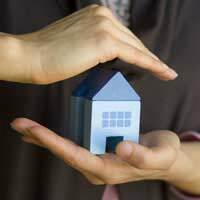 Insurance policies help you guard against the damage or loss of property and possessions, and there are many different types of policies available so that you can find the kind of coverage you truly need. Buildings and contents insurance, second home insurance, landlord insurance, commercial property insurance and other specialised insurance policies are just a few of these options.